*Disclosure: This post contains Amazon affiliate links that earn me a small commission, at no additional cost to you. I only recommend products I personally use and love, or think my readers will find useful. Today is my 12th blogiversary. It’s hard to believe that I’ve been doing this for that long! 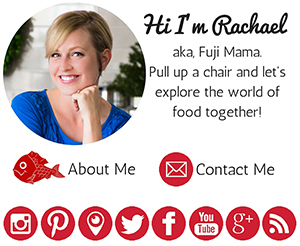 When I started my site we were living in Japan and Squirrel was just 7 1/2 weeks old. Since then we have lived in California and Utah, Bug was born, we adopted Monkey, we have had countless adventures, and we have been through both good things and hard things. I know some of you have been with me since the beginning and others have come in along the way. I love you all for being part of my life and helping me want to keep up this little space on the internet. Thank you! To celebrate I thought it would be appropriate to share a meal that is a favorite of ours. 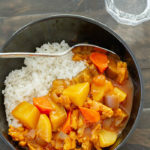 We love Japanese curry rice, a popular dish in Japan made up of a variety of vegetables and meats cooking in a thick curry gravy served over steamed rice. I’ve written about this dish before, but didn’t start working on a vegan version until about 4 months ago. I actually didn’t have to change very much, but it still took some recipe tweaking to get the right flavors and textures in play. I hope you love this plant-based version as much as we do. 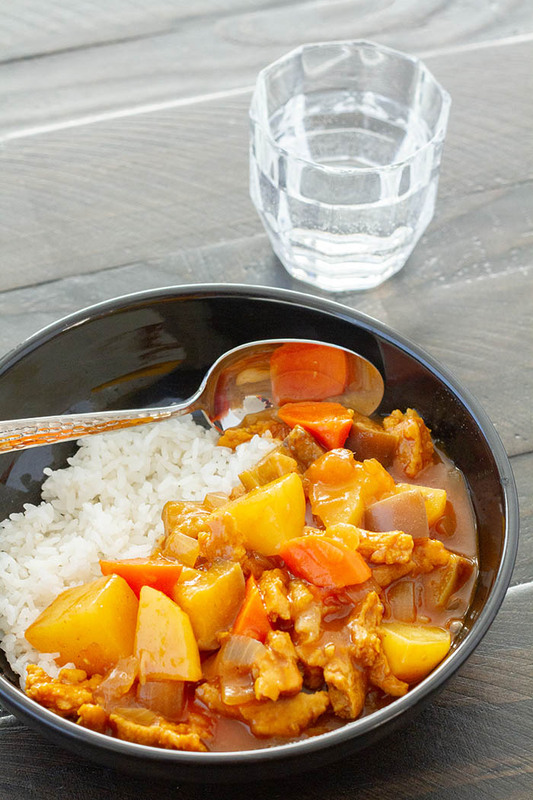 A plant-based version of our favorite Japanese curry rice, a popular dish of vegetables and meat simmered in a thick curry gravy served over steamed rice. Dissolve the Better Than Bouillon, No Chicken Base in the 2 cups of water in a large mixing bowl. Add the soy curls, then set the bowl aside while you start cooking. Heat a wok or saute pan over medium-high heat, then add the onion and dry saute the onion for about 3 minutes, or until the onions are aromatic and wilted. Add a splash of water if the onions start to stick to the bottom of the wok. Add the garlic and ginger, then sprinkle the curry powder and sea salt over the contents of the wok, then stir to distribute evenly. 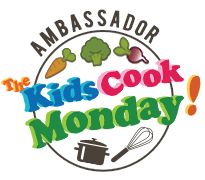 Add 1/2 cup of the vegetable stock, stirring up any crusty bits that may be clinging to the bottom or sides of the wok. Then add the tomato paste, apricot or peach jam, and rice wine vinegar, then stir to combine. Add the carrots, the rest of the vegetable stock, and the 3 cups of water, then bring to a boil. When it comes to a boil, lower the heat to medium. Drain the soy curls, then add them to the wok, along with the potatoes. Cover the wok and simmer for 10 minutes, then add the eggplant. Recover the wok and simmer for an additional 20 minutes, or until the potatoes are fork tender. 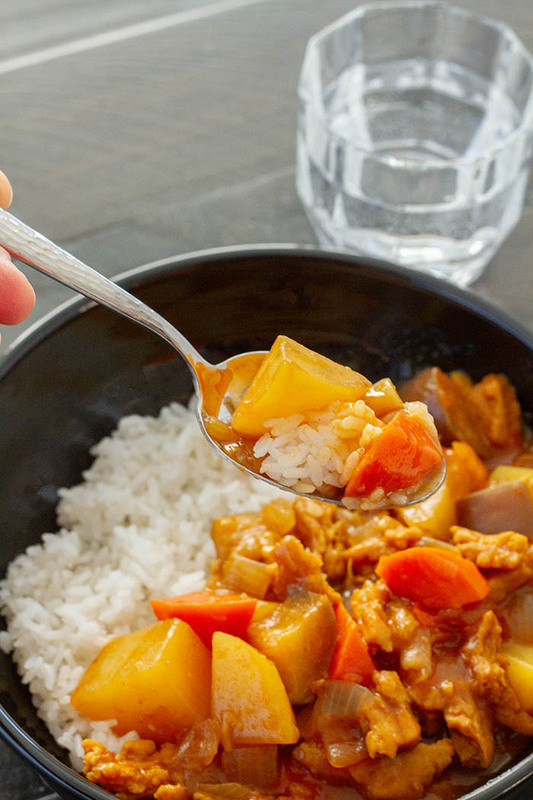 Taste, and if necessary, adjust the sweetness of the curry by adding the maple syrup. Put the cornstarch in a small bowl, then ladle some of the hot curry over it, and whisk to make a thick paste. 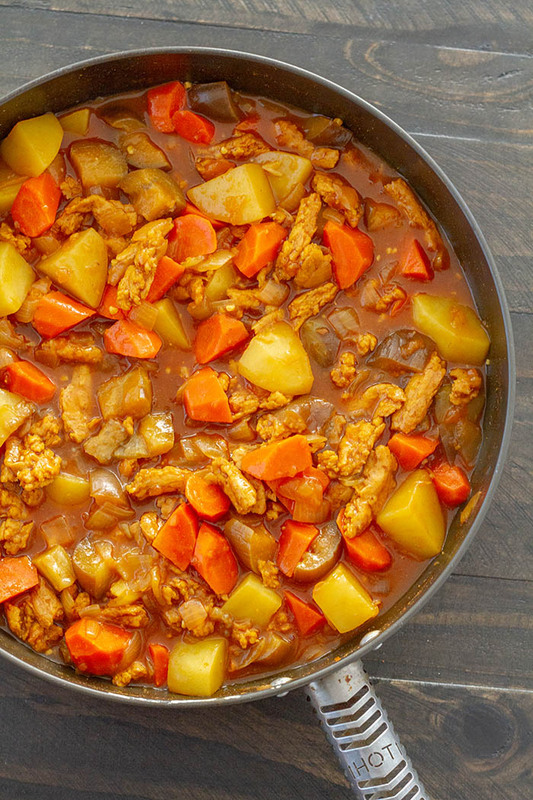 Whisk the paste into the pan, and continue cooking the curry until it thickens. 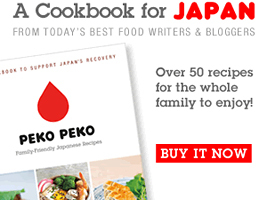 Remove the wok from the heat and serve the curry over hot steamed Japanese rice. *If you don't have the Better Than Bouillon, No Chicken Base, you can substitute your favorite chicken bouillon substitute, or use 2 cups of vegetable broth in place of the 2 cups of water and 2 teaspoons of bouillon.